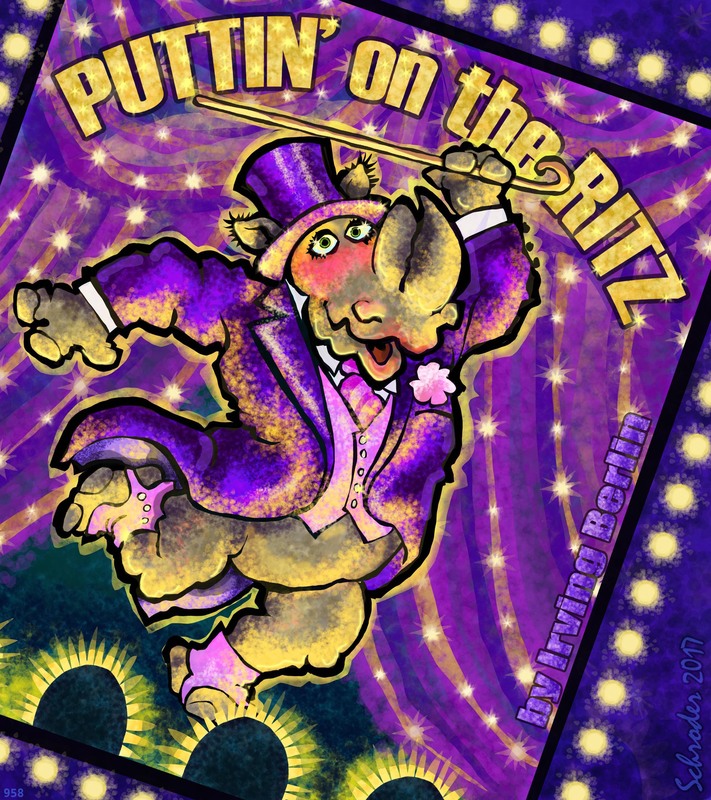 Irving Berlin published “Puttin’ on the Ritz” in 1929, a great raggy, yank-rhythm, crazy-catchy tune. Rhinos recommend you not listen to it, because once you do, you may never recover. But if you want to risk it, there are many versions on YouTube, including: Harry Richman, in the 1930 film, Putting on the Ritz. Also there are Fred Astaire, Taco, Clark Gable, and Jiri Korn, singing it in Czech, each offering something different. Your Inner Rhino recalls the greats, with appropriate warnings.